​Genetic Diversity or Genetic Disease Test. Genetic Diversity testing is just a small portion of the Doberman Diversity Project. We're about a comprehensive approach to breeding healthier dogs, and intensely focused on research, education and breed-wide health. Experts tell us that diseases like DCM and cancer won't be eliminated by simply breeding for maximum diversity. That's why we test each dog for a wide variety of disease-associated genetic mutations for common Doberman diseases and genetic diversity. That powerful genetic data, collected from each tested dog, will power the 1,000 dog GWAS (genome-wide association study) focused on Doberman genetic health and longevity. Our breed's problem is broad, as is this research project. You'll not only be a hero to our breed when you test your dog through the DDP, you'll also get next-generation comprehensive genetic diversity and genetic disease results. Testing with the DDP supports Doberman health research. When you test your dog through the Doberman Diversity Project, you support research into Doberman health. The DDP is a part of the most extensive Doberman-only GWAS (Genome Wide Association Study) to date. This GWAS will study 1,000 DDP-tested Dobermans from across the world to search for genes associated with the diseases that end Doberman lives too early, too often. By testing with the DDP, you help make this happen. Our partner geneticists aren't assuming that breeding for diversity will work to combat premature deaths in the Doberman breed. We're researching it. That's why we're following litters bred for genetic diversity, across their lifetimes, to assess the effectiveness of such an approach. This is science. We are looking for meaningful answers. Will puppies bred for diversity enjoy longer, healthier lives? Will these litters suffer from higher rates of genetic disease and die even earlier? Or will there be no measurable difference? Finding out is a key reason the DDP was founded. Testing with the DDP includes DNA Testing for Doberman genetic diseases and Coat Colors. Coat Colors (Brown, Black and Dilute). You can share this report with your veterinarian with a simple click from within your dog's online Genetic Report. You'll gain access to a powerful virtual breeding tool you'll gain access to, at no extra cost. The Virtual Breeding tool is helping breeders make breeding decisions that take DNA results into consideration. For each potential mating combination, you will know the litter's Genetic COI -- before mating. ​that has a very high 49% Genetic COI. Each dot represents the litter Genetic COI of each potential mate. This image shows how even a high COI dogs may create litters with a much lower genetic COI. And because higher COI correlates with reduced longevity, that matters. A lot. We're about Global Cooperation with Doberman Researchers. We aren't keeping any secrets. If you want to share your dog's raw high-definition DNA data with research projects from across the world, you can do so with a simple click within your dog's online DNA report. Want to share your report with a friend or another breeder? Maybe you want to share only SOME of your report? 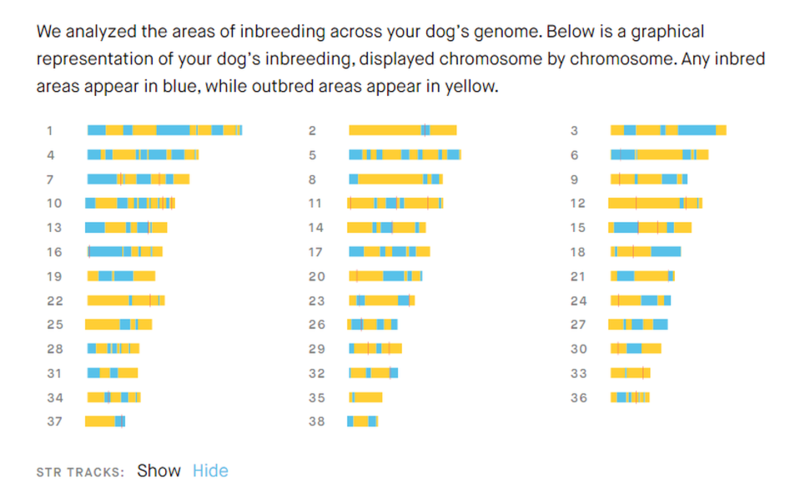 Easy -- you choose what to share from inside your dog's online DNA report. You're in control, yet sharing is simple. We are working to obtain access to an extensive pedigree database so we can create the first EBVs for Doberman Longevity -- an extraordinarily valuable tool for breeders working to breed longer lived Dobermans. Testing through the DDP uses the most reliable and accurate DNA test on market. Embark verifies that each dog tested is 100% Doberman to be sure that unique genes are Doberman genes. Embark verifies that each DNA sample submitted is from a dog of the gender claimed. 100% of our revenue goes to support our scientific goals.